Our President, Prince Ade Akinfolurin has not only undertaken an extensive research in this field, he has attained the highest level of training in Archive Storage and Record management from the United States of America. Attended a sessional training on “Code of Ethics” with PRISM International, a world body of Professional Records and Information Services Management. Alhaji Ibrahim attended Kings College, Lagos from where he graduated with a Grade One distinction and aggregate 06 in the West African School Certificate Examination. After his A’Levels in the school, he proceeded to the United Kingdom to study Mechanical Engineering on a British Petroleum scholarship and graduated with First Class Honours. He started his working career with BP London before returning to Nigeria to work with African Petroleum Plc. He continued his working career with Unipetrol Nig Plc (now Oando Plc). At Unipetrol Nig. Plc, he rose to become the Chief Executive Officer of Stallion Property and Development Company (a joint venture between Unipetrol and NNPC). In 1997, he was appointed the Managing Director and Chief Executive of Nigeria Airways from where he returned to private business in 1999. 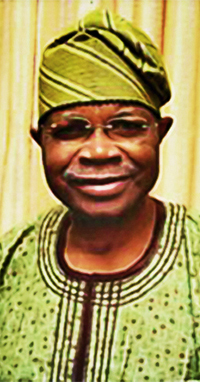 Alhaji Jani Ibrahim is a Chartered Engineer, a Fellow of the Nigerian Society of Engineers (FNSE) and a Member of the Energy Institute of the UK. In addition, he is an alumnus of the National Institute for Policy and Strategic Studies (NIPSS), Kuru from where he graduated in 1994 and has served as Secretary General of the Alumni Association of the National Institute. Lubcon Group of which he is Chairman remains one of the biggest providers of employment today in Kwara State. He has business interests in oil and gas, construction, hospitality industry, manufacturing, and so forth. Chief Pius O.Akinyelure is a seasoned and distinguished administrator, and an oil industry practioner. 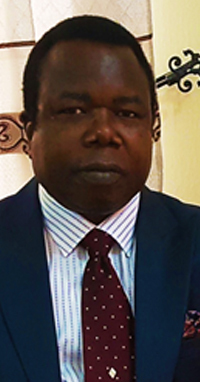 A certified Accountant with a Master of Science Degree in Management, specializing in organizational behaviour, Chief Akinyelure has had over 30 years working experience in the Oil industry at top management/executive levels, both Upstream and Downstream. Prior to his retirement from Mobil Oil Nigeria Plc on 1st June 1997, he was the Executive Director, Finance and External Relations for the company. 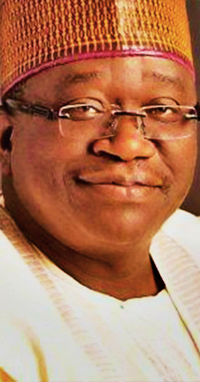 He has been Chairman/Director of several companies/financial institutions in the past, which include Wema Bank Plc, Credite Bank Ltd, Odu’a Investment Limited, Oluwa Glass Plc, Okitipupa Oil Palm Plc, Odu’a Telecomunications Limited, Cocoa Industries Nigeria Ltd, Hallmark Bank and West African Portland Cement Plc. Currently he is Chairman/Director in several other companies like King Guards Nigeria Ltd, Seg Mahsen & Co.(NIG) LTD, POA Investment Ltd, Eres N.V Nig. Ltd, Transnational Computer Technology, SPA dredging Company Limited, Pak Oil Marketing Limited, ACOP Properties Limited, Betta Consortium (Ikoyi Hotels) and CAT Construction Company Limited. Chief Akinyelure is happily married with children. He enjoys meeting people and developing contacts with them.